Note recommended for senior citizens and children below 14 years of age. Kalpitiya – Kalpitiya Penisula is 48 km long strip in the West coast, and which is about 6 – 8 km in wide. 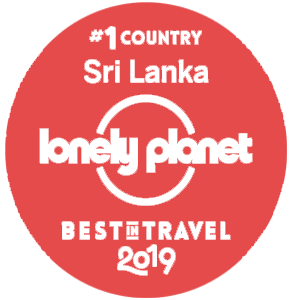 Sandy beaches are famous for kite surfing and other water based adventure activities.Sigiriya/ Dambulla/ Polonnaruwa – World Heritage scared city. Meet the indigenous group of people (Veddah) forest people. Nuwara Eliya – Hill station with tea fields and tea factories, and Horton Plain Rain forest which has the famous trekking track towards World’s end. Program Early breakfast and drive to Dambulla, visit Rock Temple and by afternoon explore Minneriya/ Khaudulla national park. Notes/ Tips When you visit Temples, Dress code should be light colour. Knees and shoulders to be covered. Notes/ Tips Polonnaruwa Temple,Dress code should be light colour. Knees and shoulders to be covered. Notes/ Tips All three meals will be provided (Sri Lankan) Good hiking boots, raincoat and leach socks will be an advantage. Program Breakfast, relax the morning and drive to Kandy. Get settled at hotel refresh and evening Cultural show at the Kandyan Cultural Center. Evening visit to Temple of the Tooth. Notes/ Tips Temple Dress code should be light colour. Knees and shoulders to be covered. DAY – 06	World’s largest Elephant Orphanage – Camping in Kithulgala. Program Early breakfast and take a guided rain forest trekking, confident jump and Rock sliding. Afternoon level 4 white water rafting and river bathing. Notes/ Tips Comfortable walking shoes/ boot will be fine. Program Breakfast, relax and drive to Dalhouse via Luxhapana. Stops at local village and springs. Relax the evening. Notes/ Tips Comfortable Walking shoes will be fine. Stair way lights use to be on only during the Pilgrimage season, which starts from November and it goes till April. If it’s off season, make sure to keep a good torchlight. It will be helpful to obtain a local Trakker too. Program Early morning (02:00 am) typical climb starts by mid night, you will reach the peak by early morning to experience the breathtaking sunrise. Reach hotel for breakfast, relax and drive to Nuwara Eliya via Castlereagh lake. Stops at Chirst Church Warleigh, Tea Castle, Devon and St. Clair falls. Reach Nuwara Eliya and take a city tour and spend the evening by walking around Gregory’s Lake. Notes/ Tips Comfortable walking shoe and basic warm cloths will be fine for Adams peak. Program Takeaway breakfast, by 05:00 am proceed to Horton Plain Rain Forest, and walk up to the World’s end view point and Bakers falls. Take the noon train from Ohia train station to Ella. You will be take through the best of tea fields of the Island. Your driver will pick and transfer you to hotel in Ella. Program Early morning by 06:00 am start trekking to Ella Rock 8 km’s, which take about 4 hours from start to finish. You will experience stunning views across the hill station, and the plains around. You will pass though countryside, rail road, tea plantation etc. Notes/ Tips Comfortable walking shoe and you will have the option of taking a local guide too. Program Early morning take a refreshing walk up to Little Adams Peak view point, refresh and do a marketing after breakfast. Enjoy a Sri Lankan Cooking class and enjoy the mean for lunch. Relax the evening. Notes/ Tips You will pay for your marketing, request to offer a tip for the cook. Program Breakfast and drive to Yala National Park, en route stop at Rawana Falls. Explore Yala park by afternoon and relax the evening. By morning 0600 with take away breakfast explore the Yala National Park. This park harbours 215 bird speices, 44 recorded mammals, and with the highest leopard densities in the world. Program By noon proceed to Mirissa/ Hikkaduwa/ Bentota, en route stops at Dondara Light House in Matara, Stilt fishing in Weligama, Dutch Fort in Galle and Turtle Hatchery in Kosgoda. Notes/ Tips Beach stay for South coast from November to May. Program Relax on the beach. Possible Activities: Snorkeling, diving, surfing (Weligama bay), Fishing, Whale & Dolphin watch etc. Notes/ Tips If the beach stay is more than 2 nights, we shall take off your standby transport to reduce cost. You will be transferred to Airport on the last day. Program Relax on the beach. Possible Activities: Snorkeling, diving, surfing (Weligama bay), Fishing, Whale & Dolphin watch etc. River cruise on Maaduganga, Turtle Hatchery and Dutch Fort visit. Notes/ Tips If the beach stay is more than 2 nights, we shall take off your standby transport to reduce cost. You will be transferred to Airport on the last day. Double check your flight confirmation and documents. Program As per flight schedule you have the option to take a city tour in Colombo and transfer to Airport.